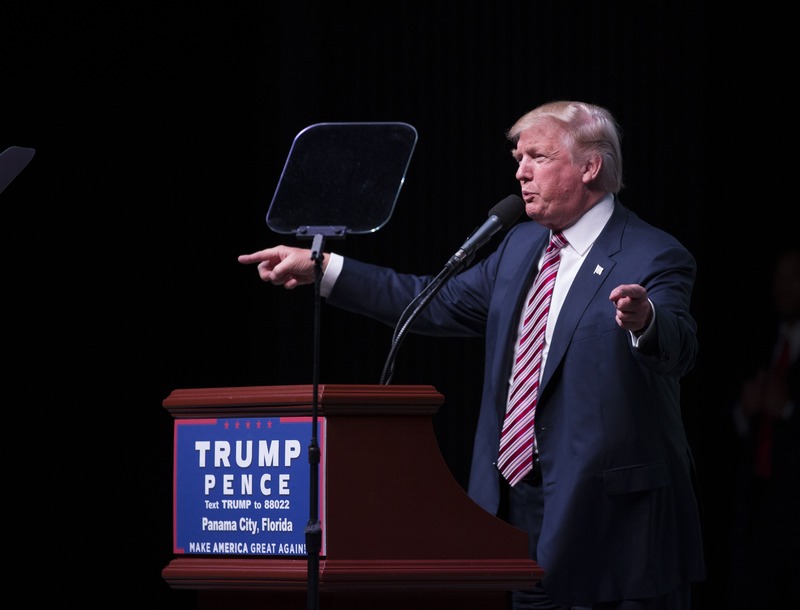 As Election Day draws closer and closer and the Never Trump supporters' anxiety climbs steadily higher, the controversial presidential candidate may have just thrown them a bone. During an Oct. 11 rally in Panama City, Florida, Donald Trump messed up the date of Election Day, urging voters to head to the polls 20 days after the actual election. Yet another stunning display of Trump's lack of preparation, the flub attracted a lot of attention online, but not from who you might think. Anti-Trump commentators urged his supporters to listen to his words and make sure to cast their votes on November 28. "We're doing something that's incredible, it's a movement," Trump said on stage at the rally. "But if we don't win, all it is is a little asterisk in history. There's never been anything like this so go and register, make sure you get out and vote Nov. 28." The comment quickly spread online as anti-Trump voters commented that, for once, Trump supporters should really listen to their nominee and do what he says. While most of this campaign has been spent trying to dissuade people from paying attention to Trump, these nine people are actually now asking in droves that those who were planning to vote for him do so as he says, on Nov. 28. Perhaps It Was A Freudian Slip? Although the thought of depriving American citizens their right to vote due to a scheduling error isn't exactly democratic, it doesn't seem so bad in this instance, as this election is just a little idiosyncratic. Maybe everyone should stop talking about it so the people at the rally don't get the message.